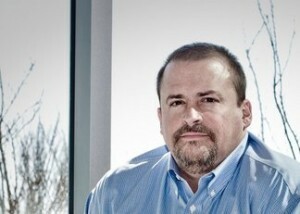 John Wechsler has been noted again and again by community members as a leader in the entrepreneurial field of Indiana. He has played a pivotal role in over ten different companies within Indiana taking on a variety of titles such as founder, co-founder, partner, director, president, CEO, and COO as well as mentor to countless burgeoning entrepreneurs. Currently, he is the acting founder of Launch Fishers, a 16,000sq ft “co-working space for entrepreneurs working on startup, high-growth, and high- potential enterprises” located within the Fishers Public Library. Launch Fishers has 525 members and aims to provide its clients with access to a community that allows them to cross-pollinate ideas, collaborate, and bolster one another up through the arduous process of entrepreneurship, start-ups, and telecommuting employment. An endeavor that fosters community support and investment for those members of the workforce that are typically isolated from one another. Walking into Launch Fishers for our meeting I was greeted by a welcoming environment with trendy art on the walls and a coffee bar immediately on my left. Rows of tables were filled with focused individuals typing away on their computers while others lounged, laptops open, on armchairs and long couches. John himself is a warm and lively individual who loves his job. He is a self-described “Indiana homebody” that has chosen the state as the focus of his entrepreneurial work. What is attractive about Indiana itself to the entrepreneur? You’re seeing a lot of things, the return of the boomerang…our entrepreneurial types, our creative types, you’re seeing an environment that is evolving that is interesting to those boomerangs, the ones that have gone out for awhile and are ready to raise a family. You just can’t beat this area, what you see in central Indiana is a phenomenal place to raise a family. It’s safe, has good schools, and Indiana has a leadership position in a lot of key industries. You look at B2B software, marketing automation software, we are a leader. And we are starting to see that flywheel effect of success breeding more success. And whether it’s a Primo, an Exact Target, or Angie’s list, or even smaller companies like Formstack, which I am apart of, or other companies like that, which have 50-60 employees. As they grow up they either operate profitably or fuel dividends that go to investors and owners which fuel other companies, or they exit by selling the company and taking it public. That creation of wealth inside of our community is what creates that flywheel effect, that success breeding success is what we’re really starting to see [in Indiana] right now. And I think that business environment is really attractive. Would you say Indiana is especially attractive to the seasoned entrepreneur? Yes. I’d say that a lot of it is family-ties. Where it’s someone that was either educated here or out of state. And then goes to work on the coast and feels compelled to come back either because of aging parents or to raise their kids, there are a lot of reasons that draw people back… I just met with a gentleman who was the GM of U.S. robotics. Before that, he was executive VP at Gateway Computers. That is an unbelievable skill-set to have in the area and he got back here simply for family reasons. He’s looking for companies to get engaged with, and to be a mentor. Capturing that type of talent and funneling that back in to support our entrepreneurs is one of the key day-to-day activities that I deliver to our community. What is your passion for the entrepreneur? Anyone that knows me knows that this entrepreneurial thing is me. It’s what I do, it’s what I love to do, and it stems from the belief that economic self-sufficiency really is at the root of all empowerment. At the end of the day, to teach people how to cultivate and develop and build a business… teaching them to do, rather than to give them a handout, is the ultimate gift that we can give to anyone. I think entrepreneurship is at the core of independence. I think its one of the most patriotic things we can do at the end of the day. If you’re not willing to pick up a rifle and face a bad guy, or run into a building when other people are running out, then the next best thing we can do is what made our country great, and that is build an enterprise, employ your community, repatriate profits back into the community and keep that cycle going. Were your parents instrumental in forming you into an entrepreneur? My parents were divorced when I was at a very young age, and I was raised in a single parent home with a mother that worked two jobs to keep us on a steady plane. She worked for the same company for 35 years and then retired. So, the idea that she had a steady career with one company and then here I come along and every couple years I am doing something new, it’s a funny dichotomy. She’s very entrepreneurial minded, but risk-averse at the end of the day. She’s always stayed with the same company… for her whole career. I’d say the lessons learned from her were incredibly important to me. I’d say honesty, and hard work, those are the core pillars of what make me a good entrepreneur or at least passionate about it. If you have the basic core values established and a good foundation, you can do just about anything and that’s the beauty of our country, quite frankly, you’re not locked into a position based on where you started, you can go to any level. It seems a lot of successful entrepreneurship comes from a strong drive and a discerning intuition. Can a person develop that necessary intuition it seems many successful entrepreneurs have? I’m a big believer in data-driven decision making, or data-aware decision making. It shouldn’t be that I took a survey, and it’s 51% versus 49% so I’m going to go with the 51%. That’s the role of the entrepreneur to have that gut check and decide, I know the data says 51 to 49, but I’m going to go with the 49 because I think deep down that will work best. The way you develop and perfect that skill set is in rapid iteration of testing your ideas… You get your idea out in front of people early and get feedback. So, you can say, “You know I think people will buy this product”, and if you can get feedback, that’s one of the best ways to hone those skills. I do believe there’s a role for data in making those decisions, but the visionary entrepreneur is very important. You take a guy like Steve Jobs and if he had asked the world what they wanted in a phone, we would’ve never ended up with this [lifting his iPhone]. He had a vision for a great product and went forward with it and now we all carry iPhones. What partnership do you see between the entrepreneur and technology as automated systems and predictive software become more sophisticated? I think it [technology] gives us the ability to test more assumptions, to think bigger, and to realize that almost anything you can imagine, you can do now. It used to be that we were constrained by our ability to produce and conceive ideas… today there is no limitation to the production of software, ideas, or compute power…Increasingly the limitation will, surprisingly, be our creativity. I am also a big believer that ideas are largely a commodity at this point. It’s the ability to execute that matters. It’s almost naturally American to have an idea about how to make something better. You go down the street and ask someone if they have an idea for a business, or a new product… everyone has an idea for something…. Well the ideas themselves are pretty much commodities, what matters is the innovator’s ability to go out and execute and build a prototype, attract investors, and get a product in the app store. One of the things I try to do is never give advice. I am willing to share experiences, but I find that while everyone has advice, not a lot of people have experience. The second thing is that it will take longer and cost more than you think it should. Always. Lastly, make sure to get a mentor. Its one of the most important things you can do. And if you cant find one, ask around. Go to your school, high school, or college. Go to your workplace, find out the CEO’s name, ask if they will meet with you once a month and mentor you. Finding early life mentors is essential to what I did. It was critical to my early development. What made you decide to pursue your career here in Indiana? I always knew that I would be back here, I am a home body at the end of the day. Family is a big draw. A lifetime of friends and now I am at the point of my career where I couldn’t think of leaving. Our daughter is anchored into her community and she has her friends, and at the end of the day we are very much a homebody and connected Hoosier family. I’ve traveled to 25-30 countries in my lifetime… I’ve seen a lot of the world, I’ve seen a lot of America and I know that this place rates in a very high standard to just about everything that I’ve ever seen. When you take it all on balance, and that includes amenities, quality of life, safety, economic vitality, and you look at all the things we have to offer here, its an amazingly well-kept secret. And I am content to stay right here where I was planted. What do you love most about the people in Indiana? What’s wonderful is the sense of Hoosier humility… it is disarming to people who have not experienced it before. There is openness and willingness to help, willingness to accept and greet an outsider; I think that is one of our most enduring and endearing traits. It’s something that is uniquely Hoosier. What does being a good citizen mean to you? It means that you think about not only what it means to provide for yourself and your family but also how those efforts impact your community as a whole. If we had a community that all conducted themselves that way, it’d be a wonderful place. I think a lot of Hoosiers do think that way. But, that’s what it means to me to have a strong sense of community.